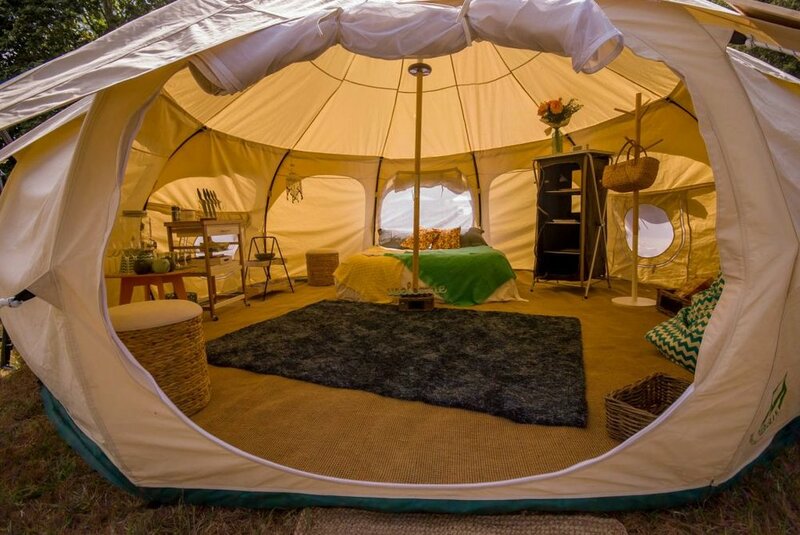 Prom Coast Eco Glamping was created out of a passion for all things healthy, natural, nurturing and sustainable. The South Gippsland region. Whether for a short break or a long stay, this is a place to be respected and enjoyed. And what better way to do it than in a deluxe bell tent at one of our select locations along the Prom Coast. We make your stay luxurious and relaxing! We do it all, from setting up your tent, making your bed, booking your camp site and then packing it all up after your stay. All you need to do is book, arrive and enjoy. Whether you’re a seasoned glamper or a first timer, glamping with us is made easy. You can elect to have it as luxurious and catered for as you would like, or more basic and self catering. Either way we are here to ensure you enjoy your stay in our large and comfortable bell tents. If after looking at our website you would like to come glamp with us then please click on the BOOK NOW link and follow the prompts on our online booking page. Once you have booked we then go to work getting everything sorted and then contact you with your final booking confirmations. After that the only thing left to do is wait for your glamping trip. Do you have a function or a special event that could benefit from some kind of outdoor shelter or accommodation? Or would you like to hire our tents without the Glamping furnishings? Our beautiful 5m Lotus Bell & 4m SoulPad tent may be just the key. Easy on the eye, beautiful inside, roomy and best of all we set up and pack up for you. All the hard work is done! Please contact us for more information regarding unfurnished tents. My partner, two toddlers and I spent the long weekend in June in the Tarra Bulga National Park glamping. Yes, it was cold, but we were quickly warmed inside and out by the camping experience you provided. A wood fire inside the tent (yes, that’s correct, inside the tent!!! ), plenty of wood, herbal teas, coffee, cooking facilities, extremely comfortable bedding – made for an easy and luxurious camping, rather, proper glamping experience. The tent was spacious for sleeping and just being, even for the four of us. There was even space for dancing – in particular the Cha Cha – in the tent, which my children quickly discovered – made possible with the speakers provided. We went for various drives and walks in the area, which were all spectacular. The camping site was secluded, even from phone reception, which made for a lovely break. For my city dwelling kids, it was an amazing weekend in the forrest, they were often on the hunt for fairies, elves and Spiderman’s Venom character, because it was that kind of surreal place! 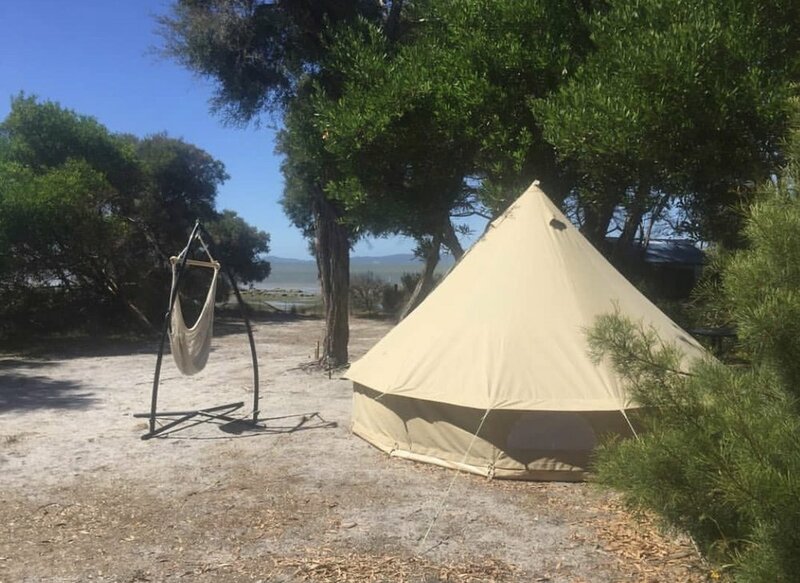 We highly recommend Prom Coast Eco Glamping, even in the core of a Gippsland Winter! Thank you again! If you need anymore information, please feel free to get in contact with us by filling the contact form out. If you would like to book with us then please click the BOOK NOW button below.